Why buy High Strength L-Theanine ? Introducing our new double-strength L-Theanine capsules. 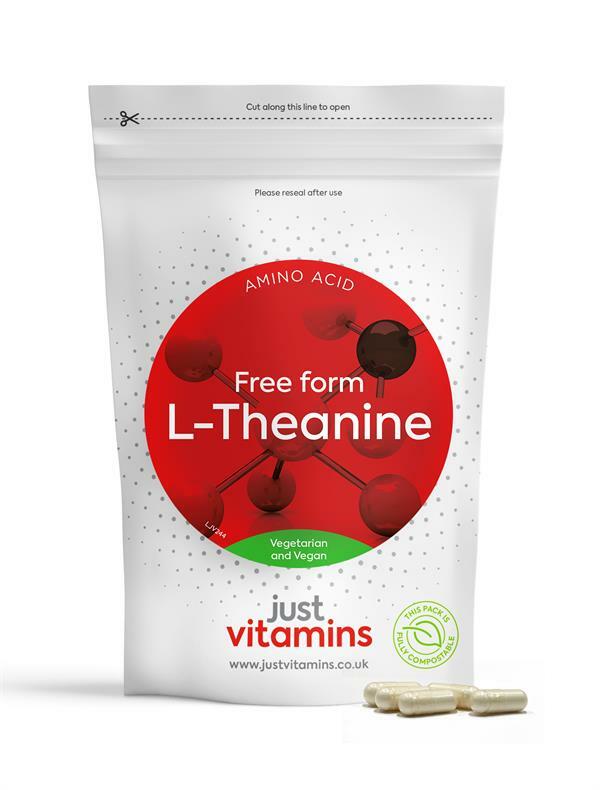 L-Theanine supports a sense of calm, contentment and well-being. It crosses the blood brain barrier and has been shown to increase brain alpha waves in less than 40 minutes. Alpha brain waves are an indication of a state of relaxation and mental alertness similar to that achieved through meditation, this promotes a feeling of relaxation but with an alert state of mind. Theanine is an amino acid found predominantly in tea. When you have a stressful moment or a shock a 'cup of tea' one of the first things that come to mind but why? The reason is thought to be L-Theanine which is believed to be responsible for the calming and relaxing effect of a cup of tea. If you are a coffee drinker it's likely that at some point you will have drunk too much and experienced a 'hyper' effect. It is very doubtful that you have ever experienced the same thing with tea even though it contains a lot of caffeine and the reason why is thought to be theanine. It is also a supplement which is not known to be addictive. A single capsule provides 400mg of this high-grade amino acid in a vegetarian capsule - currently the strongest form available in the UK. L-Theanine, Hydroxypropylmethyl Cellulose, Maltodextrin, Silicon Dioxide.